This Japanese-styled club is one of the largest party places on the Barcelona beachfront. With a capacity of over 500, surprisingly, Shoko still gets filled up thanks to its awesome parties. The upbeat music, stylish interior is frequented by tourists and locals alike – oh and yes, pubcrawl guests too! Famed for its underground vibe, Jamboree is a popular choice for everyone who likes the current top international music hits – that, and its amazing live jazz sessions! That’s right, with Jamboreee there’s never a dull moment, and with pub crawl Barcelona you can skip the lines too! Opoum is known for its immense atmosphere, where hundreds fill the dance floors every given night! 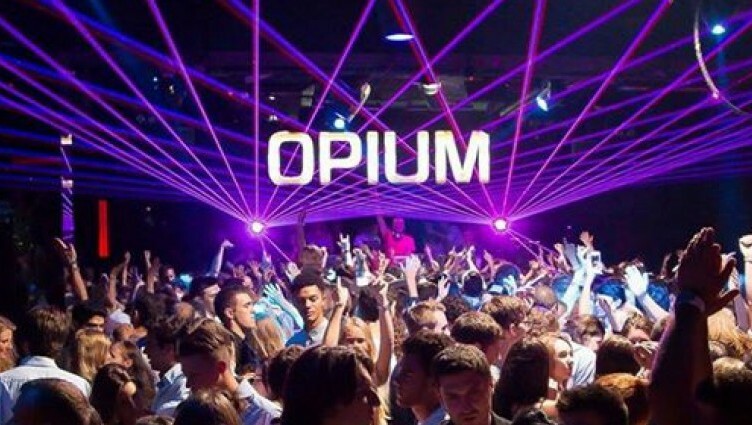 Located on the city’s famous beachfront, Opium caters to the usual crowd of backpackers and partying local youngsters. Come here if you feel like dancing all night long with a similar minded group of friendly people! This is probably one of the largest clubs of the city. With three floors, several dance floors, one can easily feel lost in this massive maze of party extravaganza. Or you would feel lost, if you did not have a great local guide with you – yep, that is where pub crawl Barcelona come into play! Do note that we don’t visit all of these clubs on every crawl, in fact, the selection varies on a daily basis depending on what the night has to offer! Trust yourself in the steady hands of our guides and you will surely find the hottest bars and clubs for your ideal BCN pub crawl!